Day two of the 2017 Europe Youth Top 10 competition, Saturday 9th September, being held in Worcester, England saw the Junior Boys' Singles tournament really begin to take shape as four players ended Saturday 9th September with double digit points on the scoreboard. One such player to achieve that feat was France’s Irvin Bertrand, who successfully negotiated his day two fixtures without encountering much trouble. Irvin Bertrand made a positive start to the day with a fine performance leading to a five games victory over the impressive Belgian competitor Florian Cnudde (11-7, 11-8, 12-14, 11-6, 11-9), before Bertrand picked up subsequent wins against Romania’s Rares Sipos (11-9, 11-4, 11-9, 11-3) and England’s Joshua Bennett (5-11, 11-8, 11-9, 11-9, 11-5). 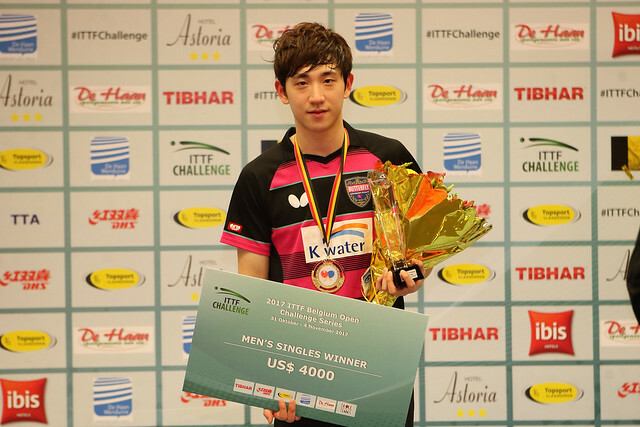 Joining Bertrand on 10 points is Tobias Hippler, after the German player also avoided defeat on the second day of Junior Boys’ Singles action. Another similarity is that both Rares Sipos (13-11, 11-9, 4-11, 11-7, 11-8) and Joshua Bennett (11-8, 11-6, 10-12, 2-11, 11-4, 11-6) also fell victim to Hippler, while a confident display against French athlete Bastien Rembert (11-3, 11-6, 7-11, 14-12, 11-7) sealed the German’s third success of the day. Top seed Cristian Pletea was looking to bounce back after suffering a disappointing loss on the opening day in Worcester, and the Romanian kick-started the second day of the campaign with a positive result against Gerrit Engemann of Germany (6-11, 11-8, 8-11, 11-9, 11-7, 11-5). Two further victories against Italy’s Matteo Mutti (11-9, 11-9, 6-11, 11-9, 12-10) and Florian Cnudde (11-2, 11-9, 11-6, 11-6) leaves Pletea just one point behind leader Ioannis Sgouropolous, with the Greek yet to be defeated in Worcester. 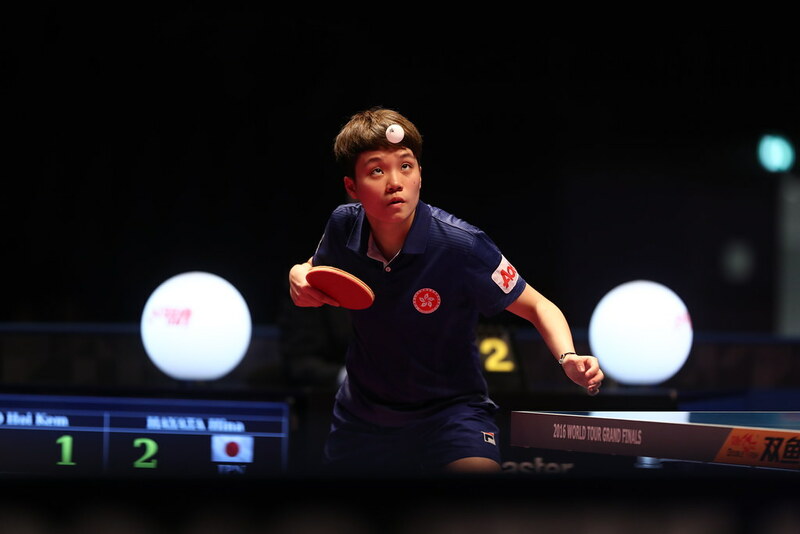 Dorian Zheng was restricted to just the one win on day one of the Cadet Boys’ Singles draw, but has made a positive response in Worcester to put his name in the upper half of the points table. The French star achieved victories over German players Daniel Rinderer (12-10, 8-11, 11-6, 6-11, 11-6, 11-5) and Kay Stumper (11-5, 11-4, 2-11, 13-11, 9-11, 11-4), and emerged successful in his other tie against Poland’s Samuel Kulczycki (11-6, 13-11, 11-5, 11-9). First position remains in the hands of another French competitor Bilal Hamache following another perfect display on day two while Swedish representative Martin Friis picked up his first victory of the tournament, inflicting a four games to two defeat (8-11, 5-11, 11-9, 12-10, 12-10, 11-9) on Ethan Walsh.